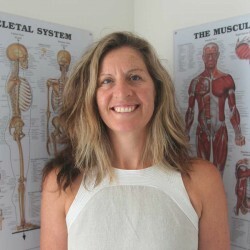 Tanya Pepper has 20 years of experience in physiotherapy including practice in London. As an APA Titled Physiotherapist, she is an advanced professional with a Master of Health Science. Tanya’s specialisations include neck and back pain, headaches, motor vehicle accidents and work-related injuries. She treats a range of neurological, orthopaedic, respiratory and musculoskeletal conditions and is highly experienced in treating and managing acute and chronic pain.